The markets have been consistently galloping higher over the past few weeks. But a further jump today is not guaranteed. 1. Ride on, cowboy: The Dow Jones industrial average and S&P 500 closed at fresh record highs on Wednesday. The Dow hit its new record after a rare nine-day winning streak. It's only the seventh time since 1980 that the benchmark index has climbed this many days in a row, according to the New York Stock Exchange. 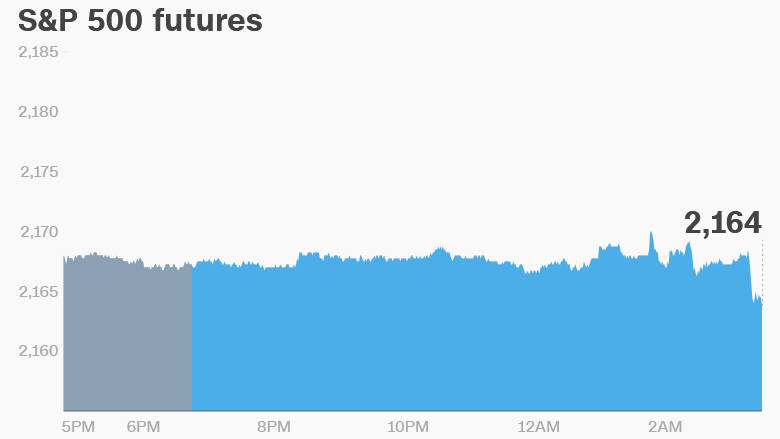 However, U.S. stock futures point to a gloomy open on Thursday. The Nasdaq is holding steady, but the Dow and S&P 500 are now looking a bit weaker. 2. International outlook: European markets are mostly negative in early trading, while Asian markets ended the day with mixed results. 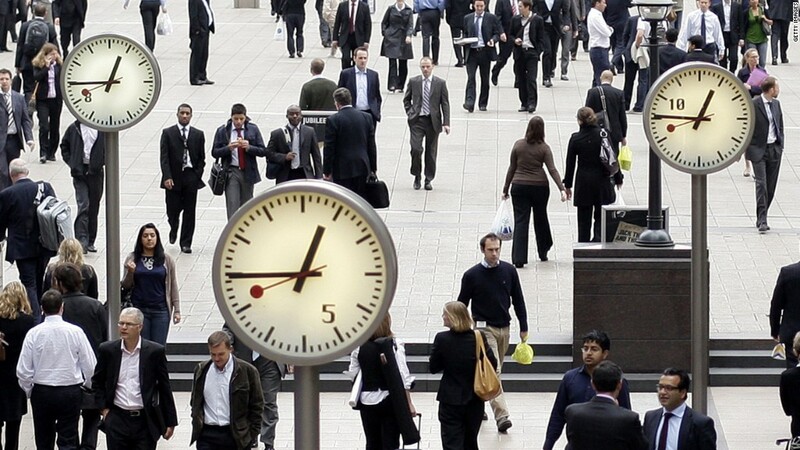 Investors are waiting for the European Central Bank to announce its latest interest rate decision at 7:45 a.m ET. ECB President Mario Draghi will hold a press conference at 8.30 a.m. about the decision. The ECB is widely expected to hold steady on policy, but traders will be looking for hints about Draghi's future plans, especially in the aftermath of the U.K. Brexit vote. 3. Earnings: There's a slew of companies posting quarterly updates this morning, including General Motors (GM), Travelers (TRV), Southwest Airlines (LUV), Union Pacific (UNP), Dish Network (DISH), Domino's Pizza (DPZ) and Dunkin' Brands (DNKN). Another slate of companies is due to report after the closing bell. They include AT&T (T), Capital One (COF), Starbucks (SBUX), Visa (V), PayPal (PYPL) and Chipotle (CMG). 4. Stocks to watch: Qualcomm (QCOM) and eBay (EBAY) shares have each gained about 6% in extended trading after the companies posted better-than-expected quarterly earnings updates on Wednesday. Tesla (TSLA) is in the spotlight after chief executive Elon Musk revealed plans to sell electric buses, pick-up trucks, semis and a small SUV. This is part of his so-called "Masterplan, Part 2" for the company. Shares in European airline easyJet (ESYJY) are sliding by about 5% in London after the company issued a trading update that disappointed analysts. The airline is facing challenges including post-Brexit currency fluctuations, slumping consumer confidence due to events in Turkey and France and ongoing air traffic control strikes. 5. Economics: The U.S. Department of Labor is reporting initial jobless claims at 8:30 a.m. ET. Data from Briefing.com shows initial jobless claims have been below 300,000 per week for 71 consecutive weeks. That's a streak that hasn't been seen since 1973. The National Association of Realtors will post its existing home sales data for June at 10 a.m. In its May report, the organization reported the pace of home sales hit its strongest level since February 2007. 6. Trump's big night: Presidential candidate Donald Trump is making an acceptance speech on Thursday night in Cleveland at the Republican convention. Other speeches include ones from Trump's daughter Ivanka, as well as billionaire venture capitalist Peter Thiel. Trump's speech could influence market moves.